Malta was situated on the increasingly important sea supply route for the North African campaign. It would be a major help to the Allied war effort if the supplies from Italy to the Axis troops in North Africa could be reduced. Rommel was desperate for more supplies, especially fuel for his panzers. Malta was like an unsinkable aircraft carrier that could be used as the base for many Allied strikes against Italian shipping. An Italian supply convoy had been spotted trying to sneak past Malta and 369 squadron was contacted. Flying Officer Cholmondeley Featherstonehaugh and Pilot Officers Sir Price and Emmett Hollingberry were sitting in deck chairs outside the dispersal hut when the telephone call came. "Those sneaky Italians are trying to sneak past Malta without letting us torpedo them!" said Featherstonehaugh, sound somewhat enraged, "That's just not cricket you know!". Hollingberry had made a bad landing with his fighter and it was still being repaired. 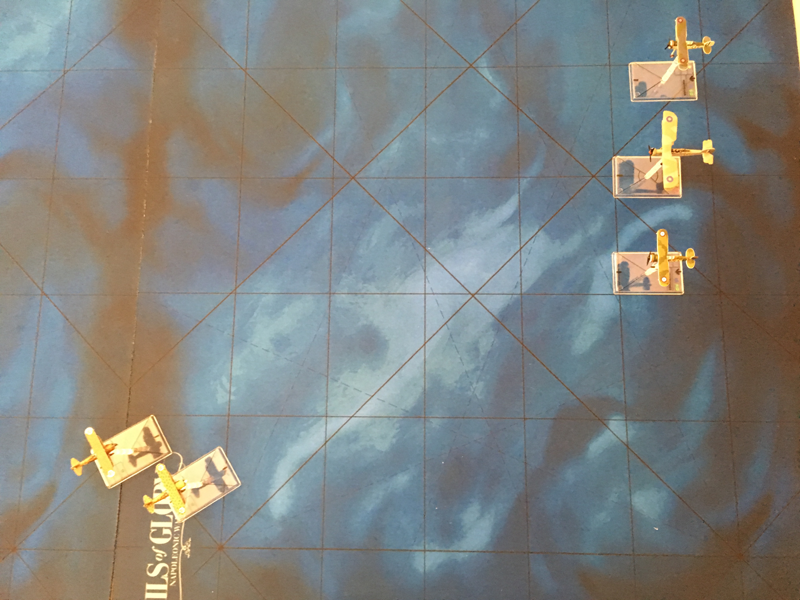 Luckily for Hollingberry a Swordfish torpedo bomber and landed the day before with a wounded pilot. So Hollingberry decided to take up the Swordfish while Featherstonehaugh and Sir Price escorted him in their Gladiators. 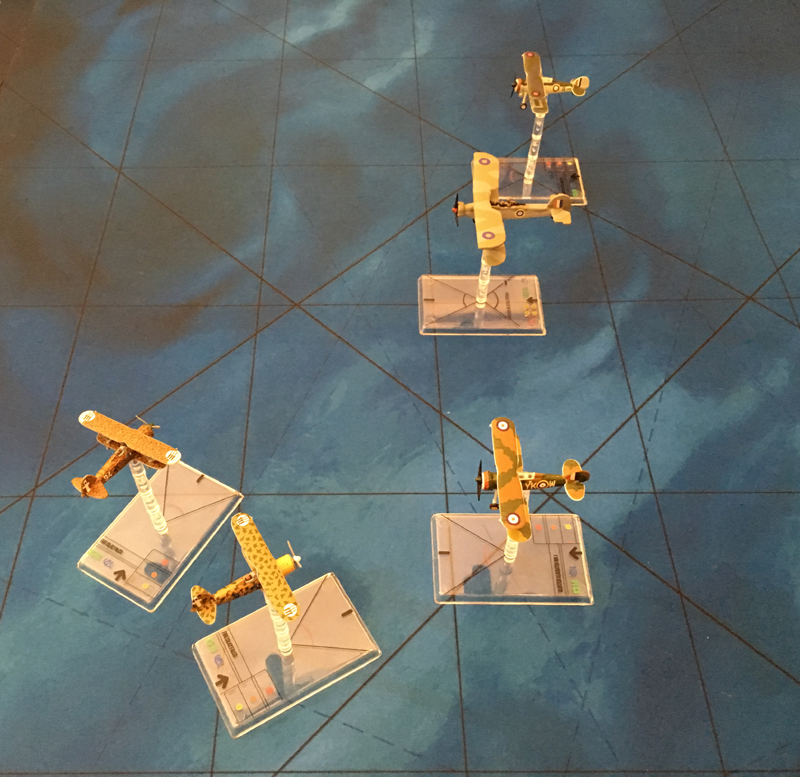 They flew in formation towards the expected position of the convoy with Hollingberry's Swordfish in the middle and a Gladiator on each wing. Two CR.42 fighters were spotted on an intercept course; one was the yellow-nosed plane used by the Italian ace Capitano Vitello Tonnato. Cholmondeley shouted "Tally Ho" and immediately throttled back his Gladiator. Sir Price on the other hand pushed his Gladiator up to full speed - even though full speed isn't very fast in a Gladiator. Hollingberry continued on a straight course towards the Italian shipping. 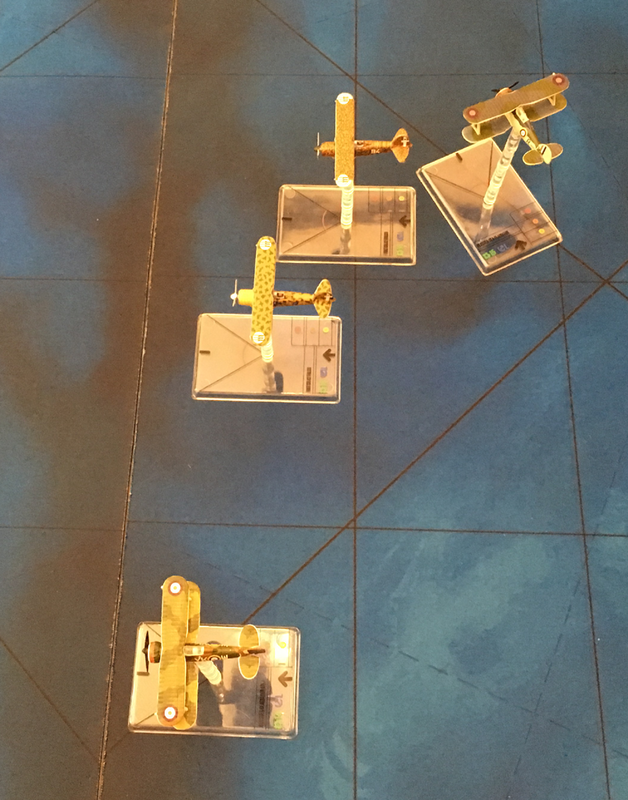 The two CR.42 fighters headed straight for the Swordfish. One opened fire at long range. Sir Price flew his Gladiator so as to intercept, and exchanged fire with a CR.42. Cholmondeley was still protecting the wrong wing of the Swordfish. 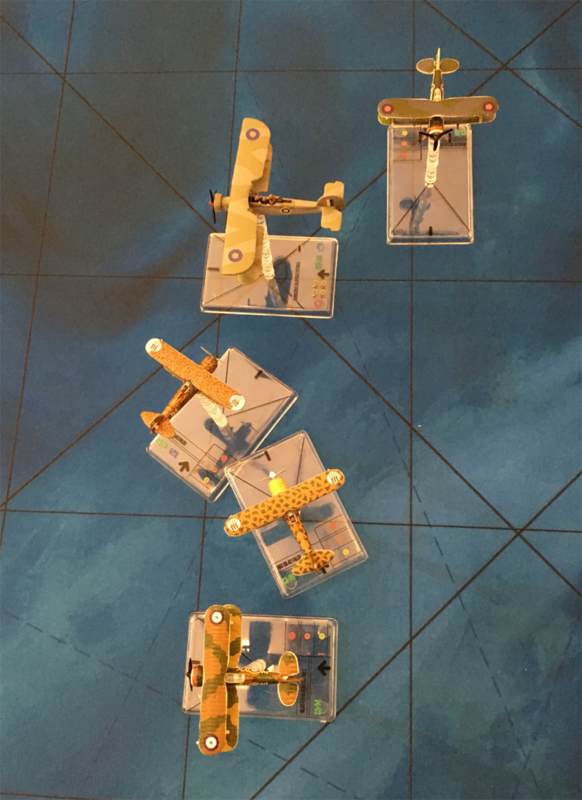 The Italians swept past Sir Price, heading straight for the slow old Swordfish. Both Italians got a good shot at the Stringbag. Cholmondeley finally decided to turn in towards the Falcons. Cholmondeley turned and opened fire on a CR.42. 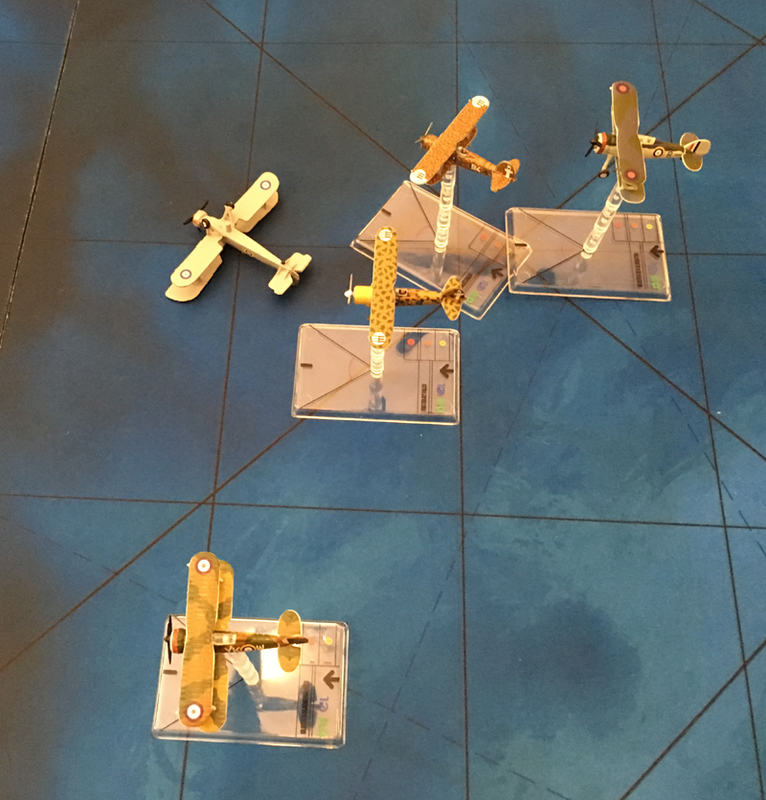 Ignoring Cholmondeley, both Italians turned in behind the Swordfish and opened fire at close range. 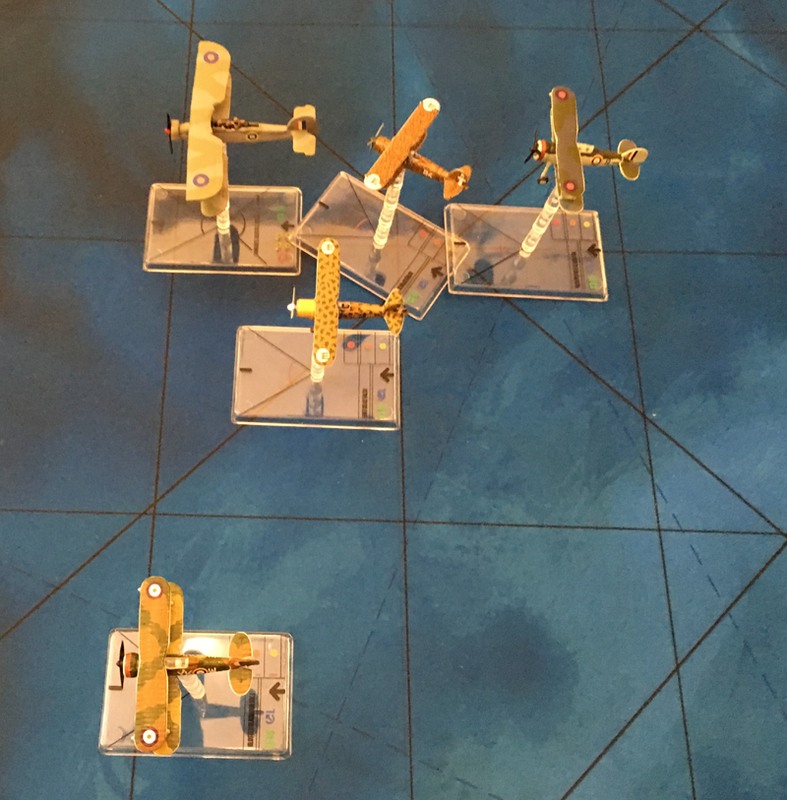 Sir Price flew straight, he appeared to be having some trouble with his rudder and couldn't return to the fight. 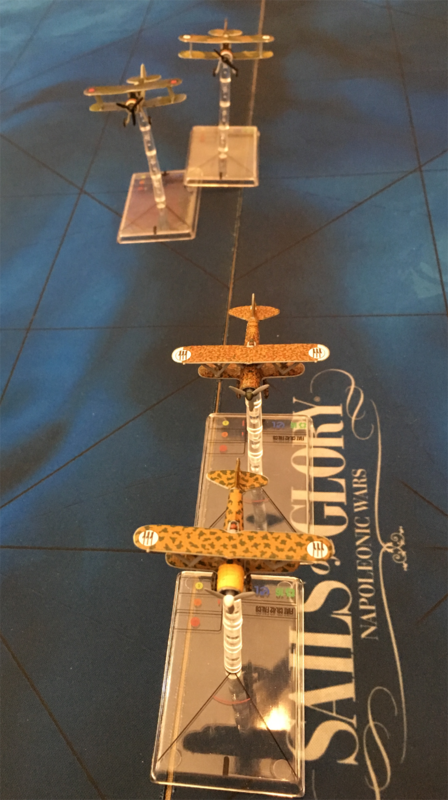 Some good and lucky shooting from the Italians; Hollingberry in his Swordfish was done for. He'd flown straight and level the whole time, making his plane an easy target for the Falcons. 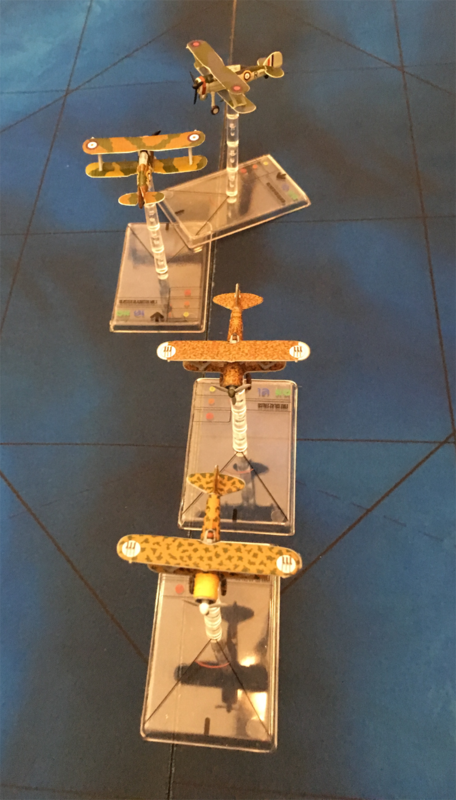 The Italians continued straight, still surprised by that fact that the Swordfish crashed so easily. Cholmondeley turned away and missed his chance at the Italians. Sir Price flew straight, he appeared to still be having some trouble with his rudder and couldn't return to the fight. Having saved their ships from the torpedo-armed Swordfish, the Italians turned for home. They saw no need to dogfight with the Gladiators, especially after having taken damage from the Swordfish's rear-gunner. 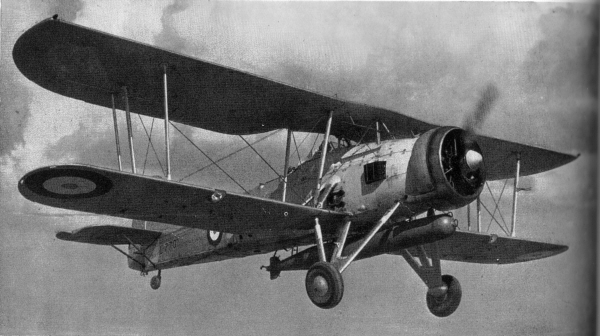 Sir Price and Cholmondeley gave chase and could just open fire at maximum range on the rearward CR.42. The rearward CR.42 side-slipped and increased the distance from the pursuing Brits. There was now no way that he could be caught and the fight ended with both sides returning home before their fuel ran out. Hollingberry and his disgruntled crew were picked up but a British submarine; the sub had run out of torpedoes and was shadowing the convoy and radioing its position. Hollingberry's observer and rear-gunner both explained to him that had "the skipper" been flying the Swordfish he would have dodged and evaded the fighters, flying straight and level when there are enemy fighters around is never a good idea, and next time they will wait for "the skipper" to recover from his wound rather than fly with an RAF pilot that didn't know how to fly a Stringbag! ARES has no Fairey Swordfish models so we used metal kits from the Skytrex Action 200 1:200 Scale WW2 range. 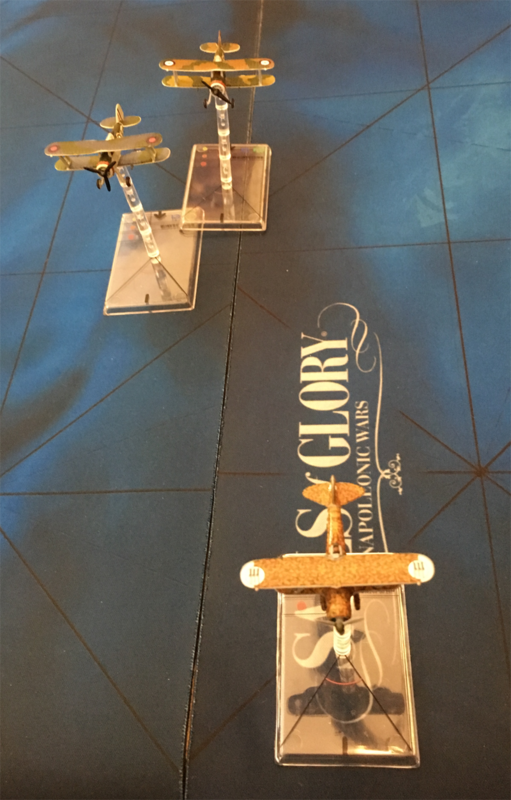 When I added a peg to the underside of the plane to fit into a Wings of Glory stand, there was no room to add the torpedo which came with the kit; luckily I could use these spare torpedoes as dropped torpedo markers. The ships were 1:1200 Hallmark models sold by Magister Militum.